The Alienware 15 R3 packs in an NVIDIA GTX 1070 along with an Intel Core i7 6700HQ. Although, this isn’t the retail unit, it is pretty close in terms of performance. Alienware has certainly improved the build quality of the gaming laptops with added rigidity and ease of access for customisation. The lid doesn’t extend as far back as most other gaming laptops and you don’t get an SD card reader. Performance wise, we’d like to mention that you should be getting a 240 W power adapter with the unit should you decide to get one. The 180 W adapter does not do any justice to the performance capabilities of this machine. Most laptops with a GTX 1070 cost around 1.7-1.8 lakhs. Since what we’ve received isn’t the actual retail unit, we can’t comment on the price using this particular configuration. However, if we are to look at the prices mentioned on Dell’s website then the Alienware 15 R3 does turn out to be more expensive than the likes of the MSI GE73VR and HP Omen W 250TX. However, these laptops don’t quite have the same build quality as the Alienware 15 R3 so you’re getting your money’s worth in that aspect. Alienware’s been around in India for far longer than any other dedicated gaming brand. So much that it’s the first thing that comes to mind when one thinks of a gaming laptop. However, times have changed and we have a lot more brands focusing on gaming laptops in India at the moment, much to the benefit of the Indian customer. Before we get into the review of Alienware 15 R3, we must inform you that this particular model has the older 6th Gen Intel Core i7 6700HQ and all the retail units have either the Core i7-7700HQ or the Core i7-7820HQ (as per Dell’s website). The other difference is that the review unit has a 4K display while the Indian retail units are all sporting FHD displays. Review units arrive a little earlier than their retail counterparts so, you’ll have to excuse this little difference. Performance wise, the two are not that far apart since the primary focus is the GPU in a gaming laptop and that remains the same between the two units. Moreover, we ran all GPU benchmarks with the resolution set to FHD to get scores which are more relatable to the retail units. Alienware has both, the 15-inch series and the 17-inch series in India. The top-of-the-line Alienware 15 R3 comes with a GTX 1080 featuring NVIDIA’s MAX-Q design. This wouldn’t be the first Alienware laptop we’ve tested but its design certainly stands out and speaks of quality from the get go. A key point with the Alienware 15 R3 is that you have two power adapter options, 180 W and 240 W. There is a performance difference between the two so you’ll have to make your choice accordingly. MAX-Q enabled laptops are certainly not cheap, however, this isn’t a MAX-Q laptop. One of the key differentiators of a MAX-Q enabled GPU is that its base clock is lower than the non-MAX-Q variant. 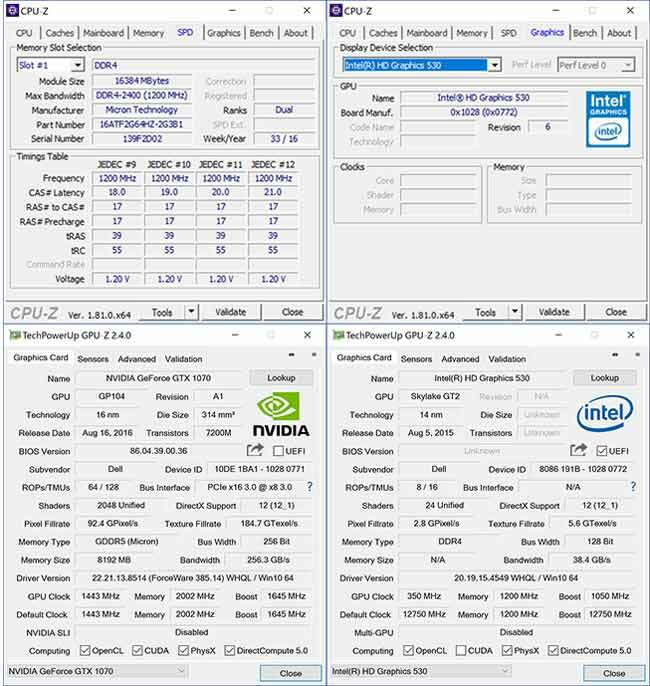 In this case, the GPU is clocked at 1443 MHz which is what the non-MAX-Q units feature. Let’s take a look at the other specifications of the Alienware 15 R3 gaming laptop. Needless to say, you’re going to be quite confused when you look up the specs on the Indian and US websites since the specifications are all over the place. 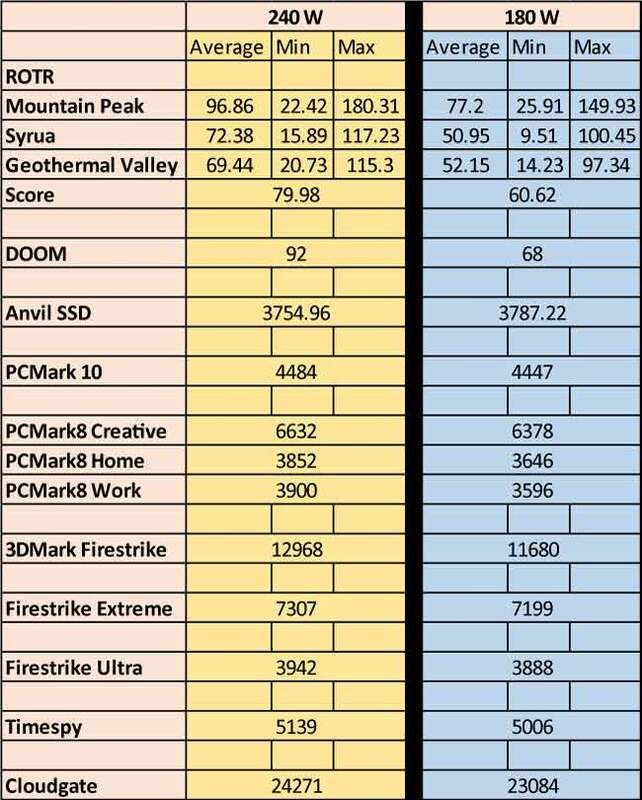 We’d like to reiterate what we had mentioned earlier, that these benchmarks are indicative of the gaming performance of the Indian SKU since that aspect is dependant mostly on the GPU. And you’ll be getting better performance than what’s shown here thanks to the 7th Gen CPU. 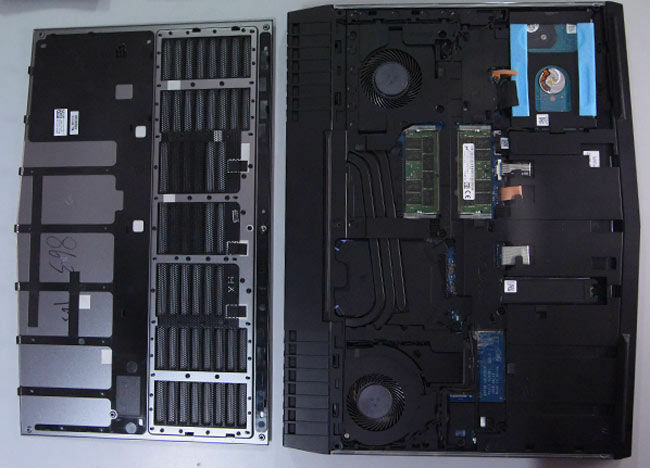 The Alienware 15 R3 has no easy access hatch for the RAM or any of the storage medium on the bottom. Rather, the entire hatch needs to be taken off if you need to make any customisations. However, when you do take the bottom plate off, you’re met with an additional faceplate. Doing so offers protection for the more sensitive components which don’t need user intervention. The users just get access to the three SSD slots, RAM modules, Wi-Fi card slot and the HDD slot. Should you need to clean the heatsink fins, the rear has a detachable plastic assembly which can simply be unscrewed before pulling on the tabs. On the inside, we see that the hinges are placed closer to the centre with the heatsink fins taking up roughly 50% of the rear edge allowing for more than sufficient airflow. The display lid is well secured with hinges that appear to be larger than what we’ve seen in other gaming laptops. And in this case, a larger stem is better. 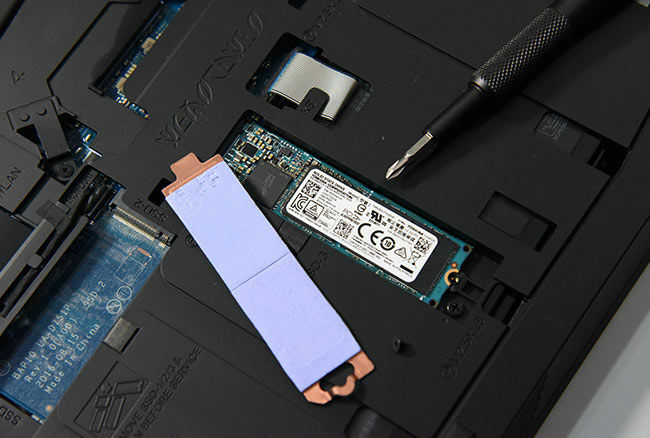 A closer look at the Toshiba XG4 SSD shows that it’s mounted underneath a heatsink. 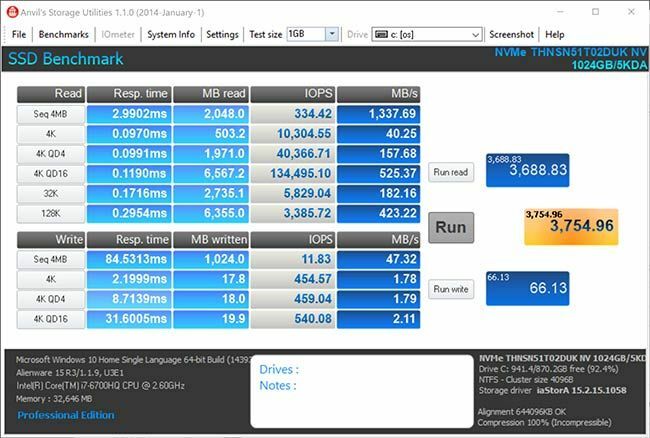 SSD controllers are known to get a little warm under continuous load and SSD heatsinks are becoming more common with NVMe drives. It’s a nice touch to have desktop-like features on gaming laptops. All accessible components are properly labelled for those unfamiliar with laptop innards. 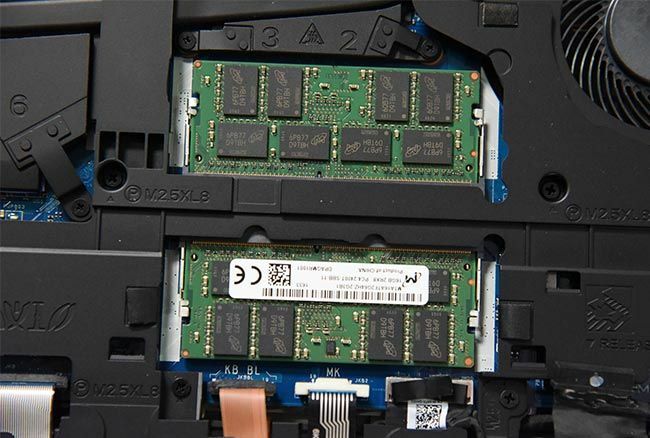 The RAM modules total up to 32 GB on this particular SKU and the modules are Micron OEM units. The HDD caddy has the drive PCB facing outwards, however, upon closer inspection we don’t see any active or passive components that would be vulnerable. 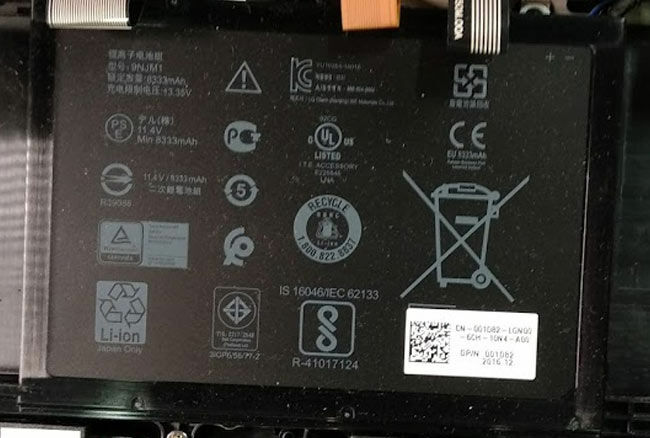 The main battery connector sits right beside the HDD which seems a bit odd but we’ll take it. The HDD caddy features a bit of insulation on the underside which makes contact with the bottom hatch to dampen shocks. As for the audio setup, we have four drivers placed in pairs on either side with all four of them facing the front. And each such speaker module has a little insulating rubber ring at its mounting point which is a nice touch. As for the audio performance, we weren’t exactly impressed. We’ll admit that It is remarkably loud. We then come to the battery which takes up a considerable chunk of the chassis space. It’s rated for 8333 mAh but the draw is set to 11.4 volts which results in the 99 Whr rating. However, most laptops have much higher draw resulting in a lower Whr rating. Ideally, you should skip the Whr rating since we’ve started to see manufacturers rating batteries at lower draws than actual. At a glance, the overall design seems to be above average. We’ve seen better VRM circuitry on ASUS laptops but Alienware comes a close second. Also, the MXM module allows for easy upgrades should you want more. However, like most laptops, we don’t prefer a unified heat sink assembly for the GPU and the CPU as is seen here. Also, there appears to be enough space on the left edge in the above image to include an SD card reader as a value addition. 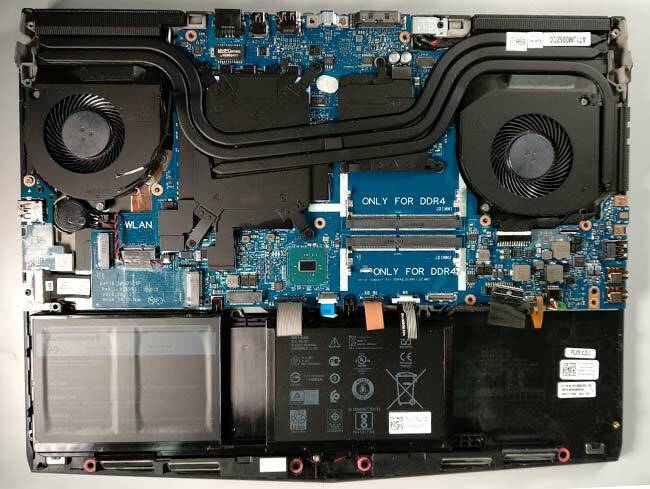 Overall, the Alienware 14 R3 is one of the best built gaming laptops we’ve come across with the cooling assembly being the obvious oversight. The touchpad on the Alienware 15 R3 has a nice matte finish and occupies a pretty large space. Moreover, they’ve included dedicated buttons for left/right click. The surface texture is such that even sweaty fingers don’t experience that increased cohesion making it easy to use at all times. The keyboard, on the other hand, feels more familiar to a normal full-sized desktop keyboard. It could be perhaps due to the concave nature of the keycaps. It’s definitely easier to get your bearing and we’d like to believe that it reduces accidental key presses since you are better aware of a key’s centre much like a normal keyboard. Moreover, the additional macro keys on the left are a welcome addition. These are not as commonly found on gaming laptops. 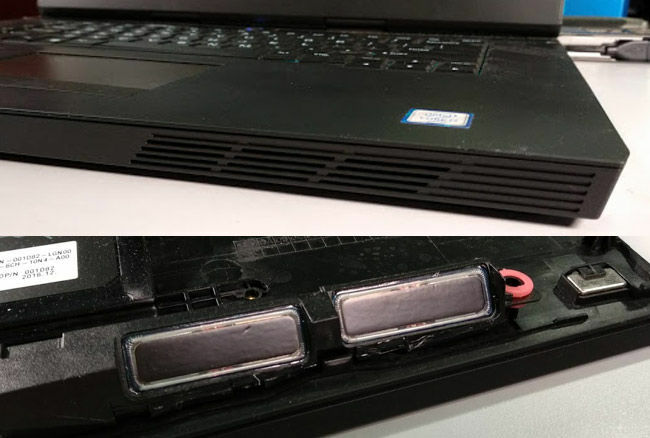 The Alienware 15 R3 has a good complement of ports along with vents on each side of the laptop. The right-hand side has just one USB 3.0 port while the left-hand side has two USB 3.0 ports of which one is a Type-C port. This port does not implement USB 3.1 specifications. Aside from the two USB ports, there exist the audio jacks for the speaker and the microphone along with the Noble socket. The remaining ports have been moved to the rear. This allows for the Alienware 15 R3 to have more ports than most gaming laptops. 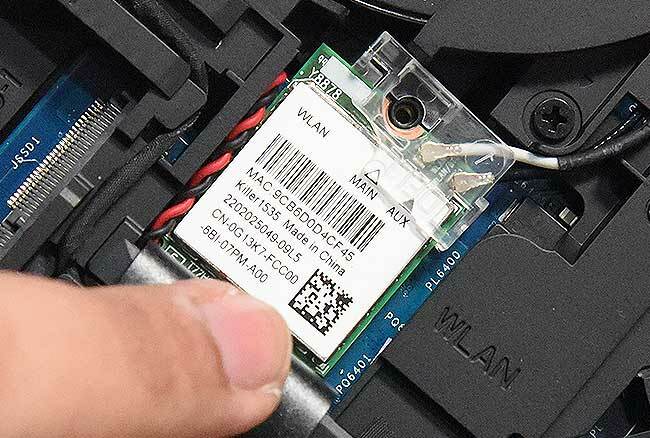 The rear has an Ethernet port which is like the Wi-Fi module, based off of Killer’s technology. Then we have a Mini-DP port, an HDMI 2.0 port, Type-C thunderbolt port, an Alienware Graphics Amplifier port and the power input. 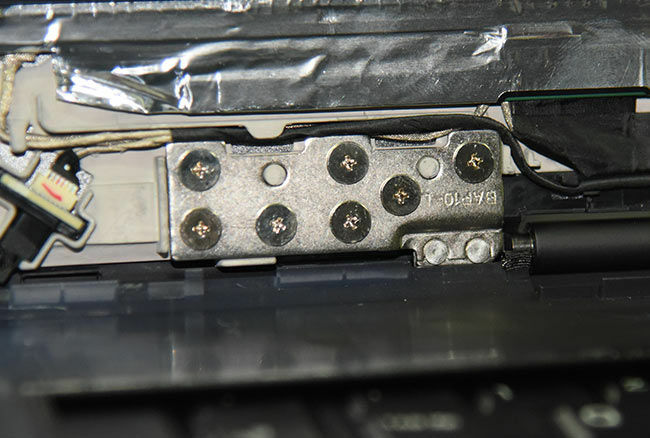 The inclusion of the Noble lock in most Dell laptops seems to be a trend that’s being championed by Dell while most of the other manufacturers are still using Kensington locks. The two are not compatible with each other and the Noble allows for a flatter profile. This is the primary reason why Noble is preferred over Kensington locks. They both serve as a hinderance but a well-prepared crook can hardly be deterred. 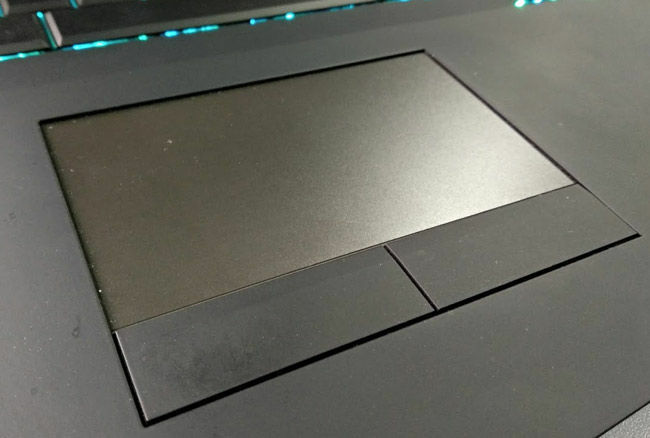 The 4K panel on the Alienware 15 R3 unit that we received is a SHARP LQ156D1JW06 which is a pretty new panel. Dell’s been using this one since the Alienware 15 R2 so we know little about it. Viewing angles are 88 degrees along all angles and the panel is an IGZO TN panel that has support for NVIDIA G-sync (120 Hz). The sub-pixel arrangement is RGB vertical stripes and the surface as a matte anti-glare hard coating. Typical response time though, isn’t encouraging at 25 ms. The luminance level is around 330-350 cd/m3 with a typical contrast ratio of 1000:1. Moving on to the webcam, we see that the Alienware 15 R3 features Tobii Eye tracking with support for Tobii Aware. Most of us bespectacled folk don’t find Tobii to be that effective but for everyone else, it’s a fun feature to play with. The webcam itself isn’t any better than most of the competition but we are getting Windows Hello support, so that’s there. The display lid doesn’t go far back. At its widest, the panel sits about 110-115 degrees with the body which is lower than some of the other competing brands. Most of which extend up to 140 degrees such as the Acer Nitro 5 series. 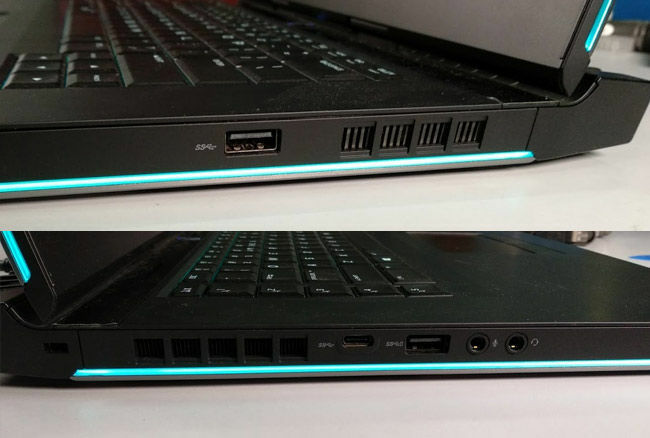 The sides of the panel , as well as the tiny Alienware Logo on the rear, re part of the many lighting zones on the Alienware 15 R3 which can be customised through the software. The panel rear has a basic support structure to add rigidity to the lid. We’d like to say the IGZO panel on the Alienware 15 R3 is at par with most of the competition. However, compared to some of the other Dell laptops, we noticed slightly washed out colours. This is because the higher refresh-rate TN panel isn’t as great as the IPS panels that are commonly seen. 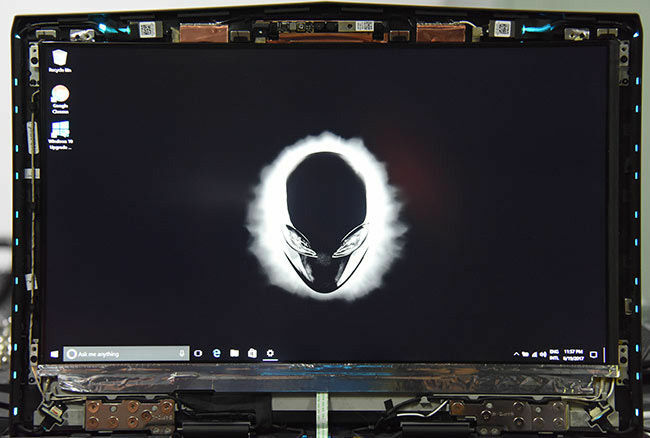 There are Alienware 15 R3 SKUs with 60 Hz IPS panels which will have better colours as compared to this one but when it comes to fast-paced FPS games, we’d pick a TN panel over an average IPS panel any day. The Alienware 15 R3 unit has two power adapter choices, the lower 180 W is what we were sent and we requested for the 240 W adapter to figure out exactly what performance metrics were affected by the power difference. And as you’ll see from the figures, the difference is huge. 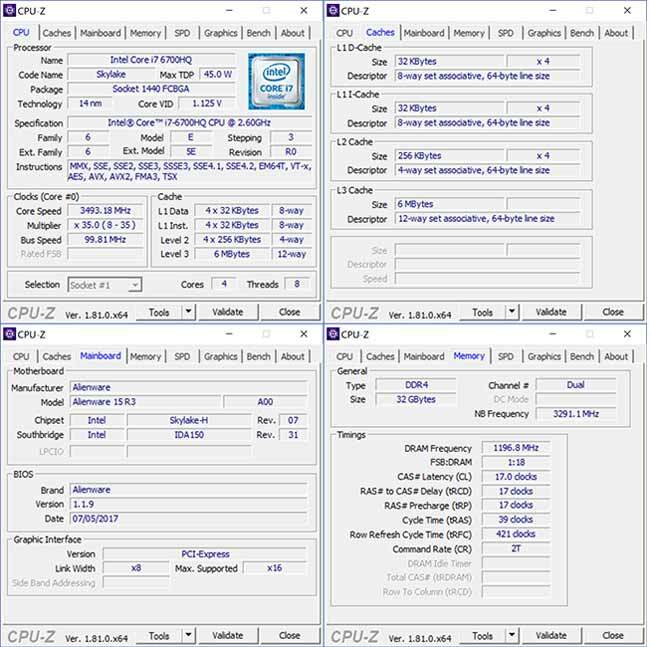 We started off with the standard set of benchmarks involving 3DMark and PCMark8. And we ran a couple of gaming benchmarks as well. Needless to say, the figures below speak for themselves. You should pick the 240 W adapter as default, the 180 W basically keeps you from getting the most of what the Alienware 15 R3 can deliver. Aside from the SSD, every other benchmark that involves the CPU and the GPU exhibit a massive performance difference. Gaming is the most affected as we’ve seen FPS drops from anywhere between 20 to 30 in popular AAA titles. The GPU simply shifts to a lower power profile, thus, throttling itself and resulting in lower performance. CPU related performance, on the other hand, doesn’t suffer as much as the GPU. So we’d like to reiterate that you should not get the 180 W adapter in any case. The SSD in the Alienware 15 R3 is a Toshiba OEM drive, namely the Toshiba XG4 (THNSN51T02DUK). Specwise, it’s an NVMe SSD with sequential read speeds of 1,500 MBps and write speeds of 980 MBps. You might see lower write speeds in the Anvil screenshot, this is attributed to the fact that the default drivers present on the Alienware’s recovery OS aren’t proper. For starters, the controller mode seems to be set to RAID by default. It needs to be AHCI or NVMe if your laptop has the option, however, in this case it will have to be AHCI. And since the included drivers are faulty, you need to get the OCZ NVMe drivers from here. Those will get your speeds up to at least 750 MBps. The read speeds are just fine for the drive, it’s just the write speeds that seem to be below par. So if you don’t want to go through the procedure, then you’ll be stuck with the low write speeds till Dell issues a fix or you get the OCZ NVMe driver. The Alienware 15 R3 does not have an SD card reader. If we go back to the chassis images, we can see that the right-hand side of the body does have space for including an SD card reader. It would have necessitated the removal or the M.2 slot next to the USB port. Since that port remains unused in this particular SKU, this could have been done. 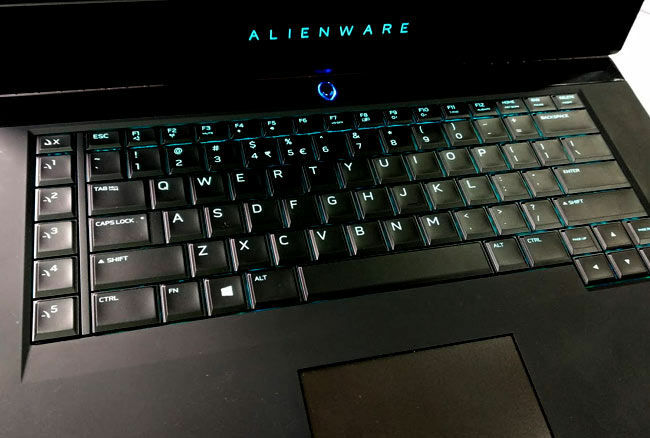 The Alienware 15 R3 uses Killer Networks’ 1535 for Wi-Fi and Bluetooth which is a dual band 802.11ac adapter with a peak transfer rate of 867 Mbps on the ac band. The Killer 1535 also has full MU-MIMO support making it all the more favourable for latency sensitive gaming scenarios. In our throughput tests, we managed to get 630 Mbps on the throughput which works out to about 76 MBps in our real world transfer tests. In addition to this, you have the Killer software suite which has it’s own QoS algorithms that allows for improved latencies. Killer Network Manager can be switched between Game Mode and Max Throughput Mode based on your current task. Will gtx 970 be a worthy upgrade from gtx 760? ?